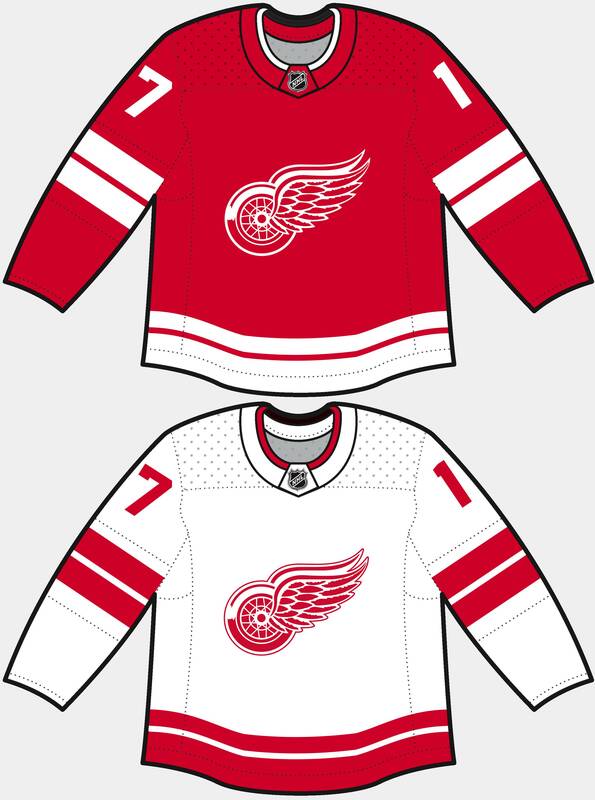 All of the jerseys have been well executed, but Detroit with double stripes just doesn't fit. 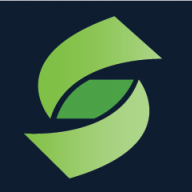 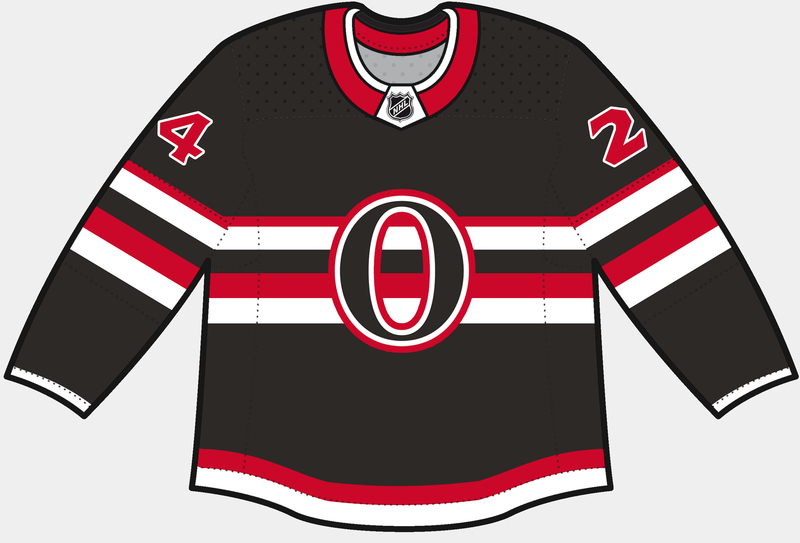 That pattern will always be associated with the Leafs. 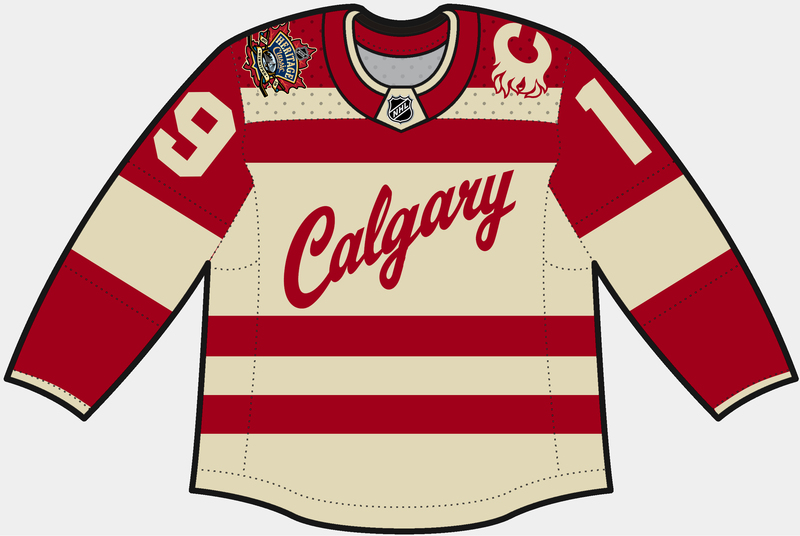 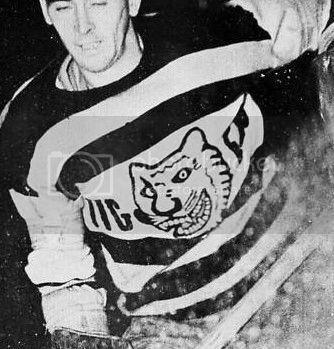 Calgary's jersey draws inspiration from the Calgary Tigers. 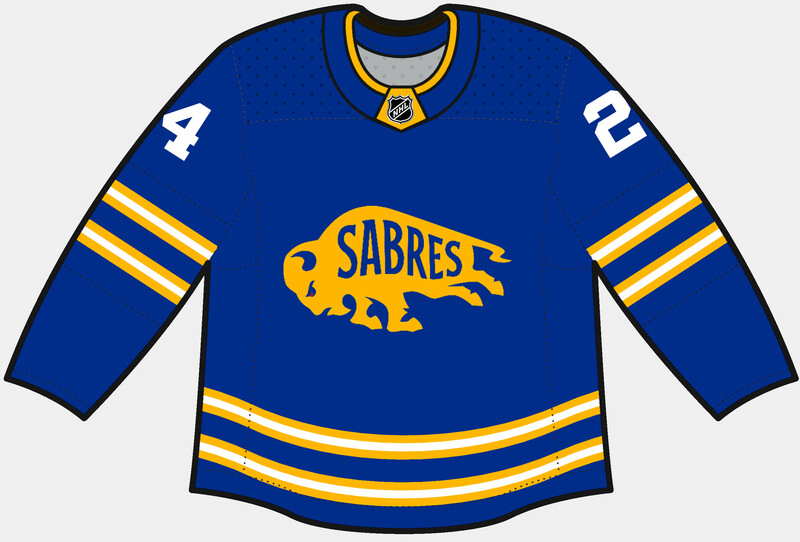 The script logos and numbers on both uniforms would be a chenille material. 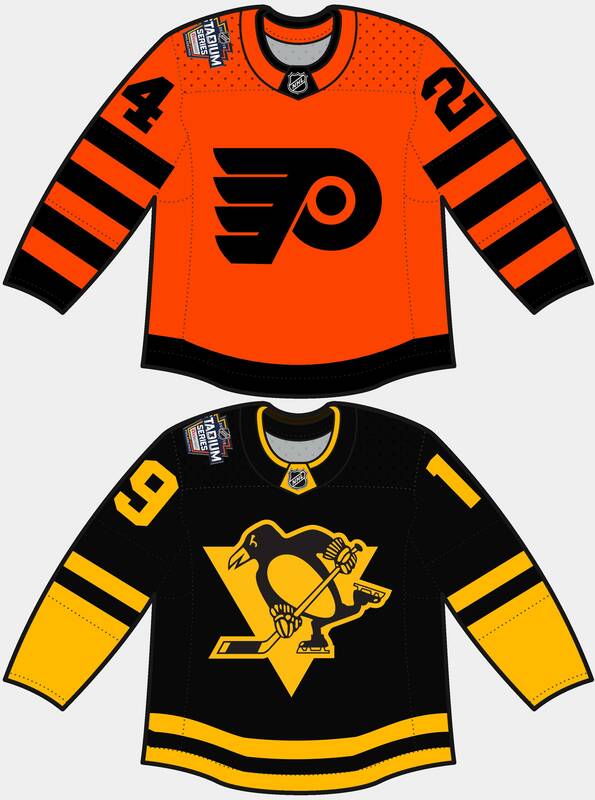 That's a winning set! 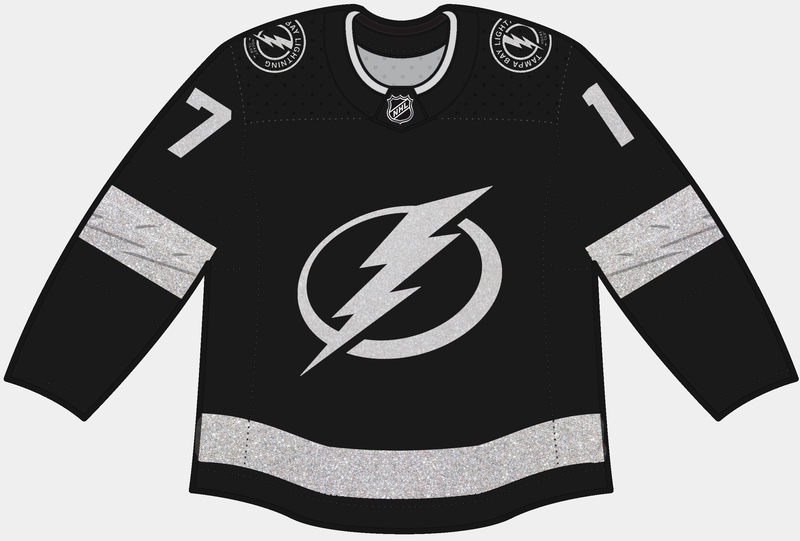 I absolutely love it! 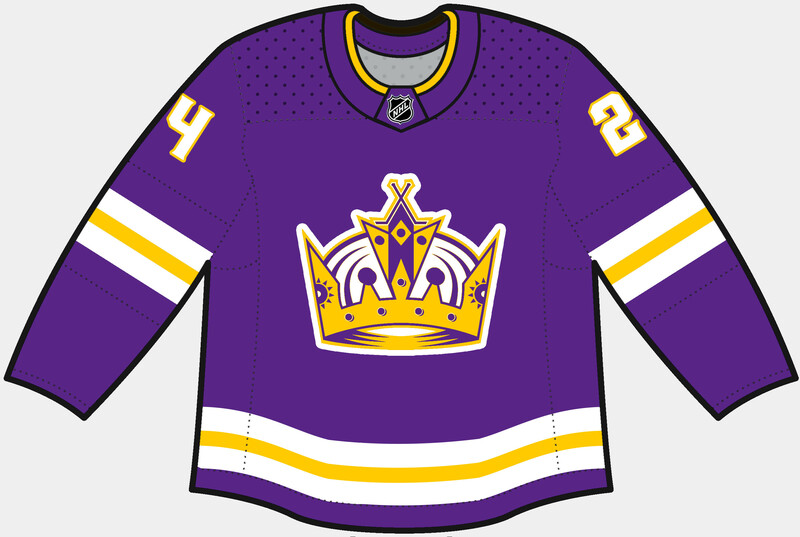 Eh. 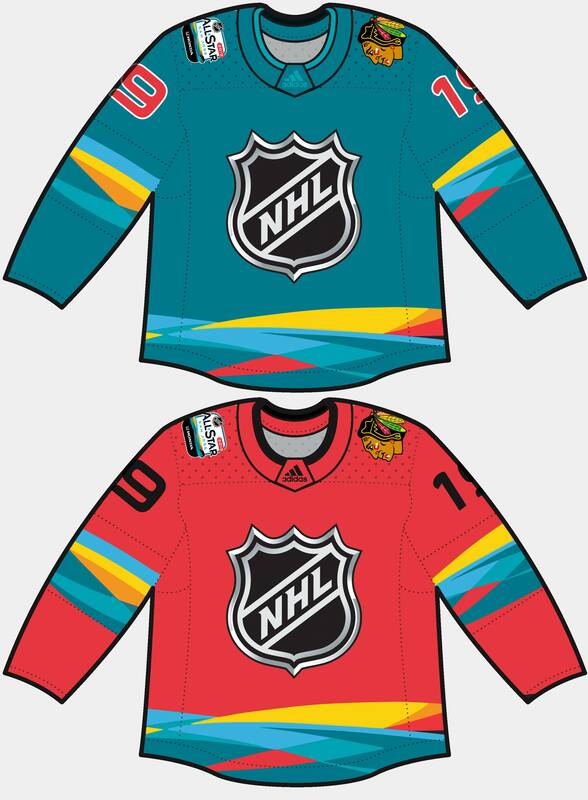 They're both pretty solid imo. 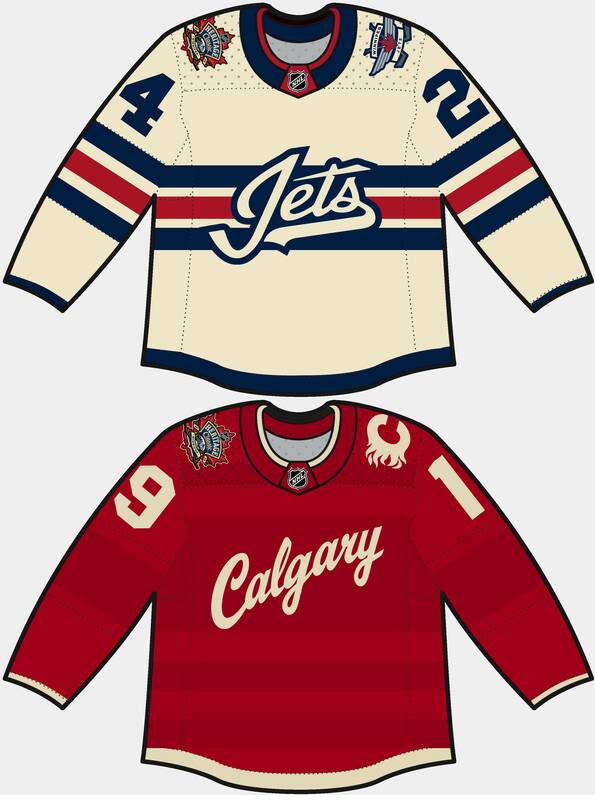 I'm not at all a fan of the Calgary Heritage Classic jersey, though. 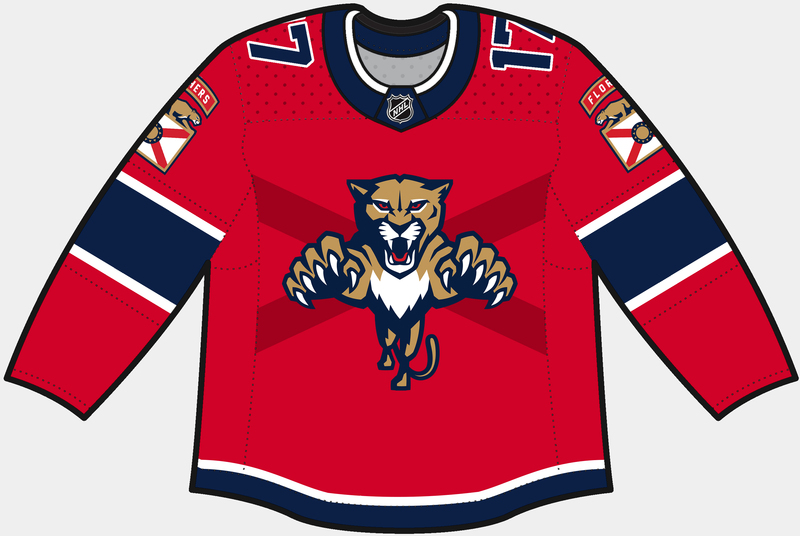 It's got such a good idea and such good potential, but the colors are just so flat, and in reality it'd look like a plain red jersey. 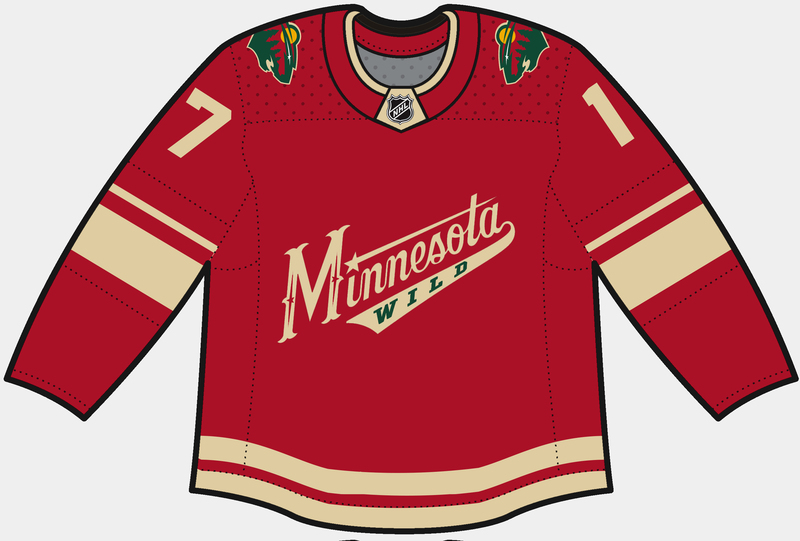 I'd make it a red-cream color scheme, rather than double red. 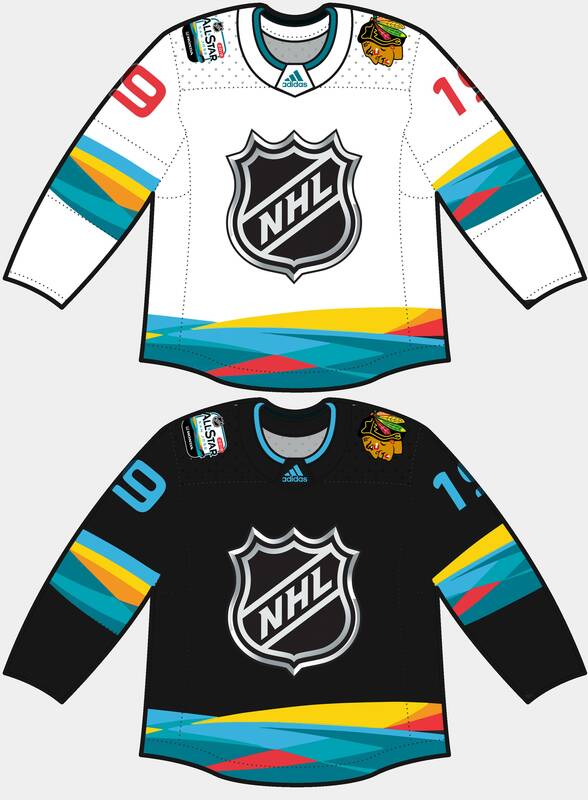 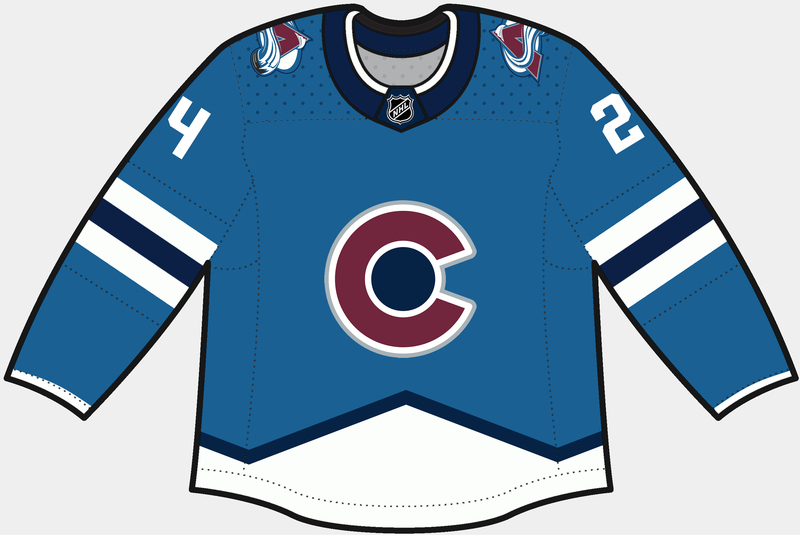 Colorado's third is tremendous, really gives me a lot of Nordiques vibes!